This multi oscillator, multi time frame and multi symbol indicator identifies when a divergence occurs between price and one or two oscillators. It identifies both regular/classical (trend reversal) and hidden (trend continuation) divergences. It has a RSI filter option which makes it possible to filter out only the strongest setups. Set both Main and Second oscillator and leave the default value 'current' as Second timeframe. 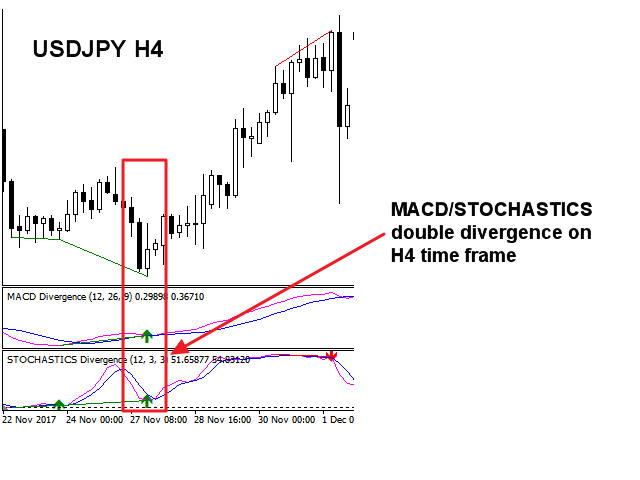 By doing this you will get alerts only when there is a double divergence on each timeframe which you have selected. Set both a Main and Second oscillator and set Second timeframe to for instance H4, or set 'One time frame higher' to True. 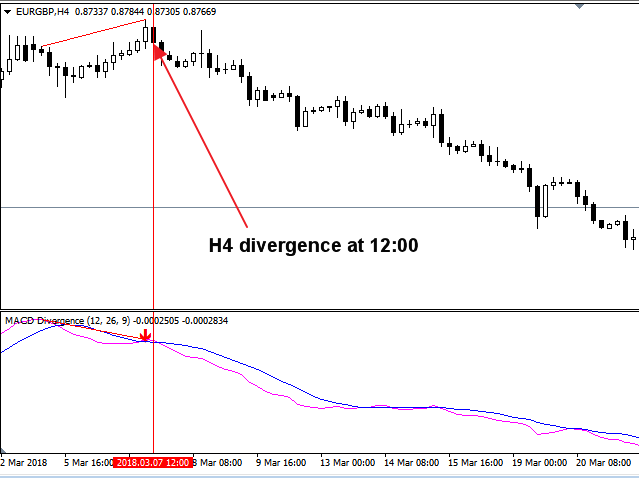 By doing this you will only get alerts when there is a Second divergence also on the H4 time frame or on one time frame higher than the main divergence. Set only Main oscillator. 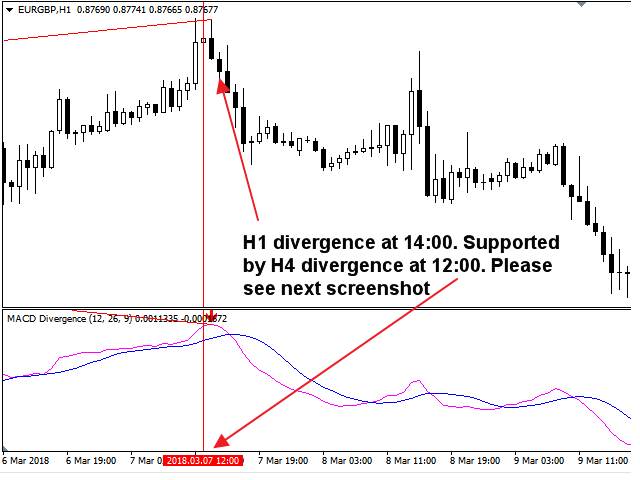 By doing this you will get alerts when there is a divergence on the selected oscillator. 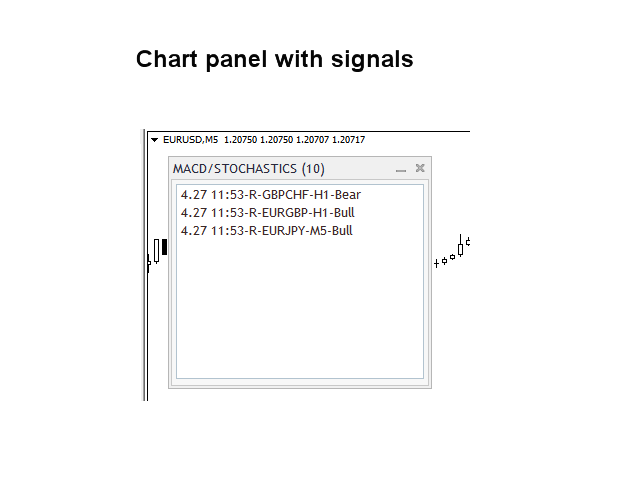 Can detect divergences for the following oscillators: MACD, Stochastics, OsMA, RSI and CCI. 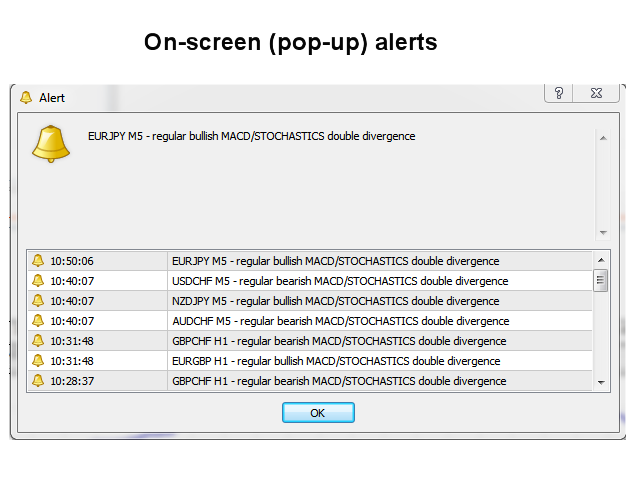 Monitors every timeframe, from M1 to MN, and sends you a real-time alert when a divergence has been identified. The indicator includes an interactive panel. Please see separate screenshot for explanation. Jan Flodin is a nice guy who listen to his customer. It's a good indicator, it's a little bit out of the question. Usually gives little signals, but fairly accurate. And of course, it should be upgraded, support is also good and explains. I vote for the signals. And must be upgraded. Thank you Jan Flodin for this indicator. I love trading divergence and to me double divergence is the perfect opportunity to confirm.